Home » Pediatricians » John Wynn, M.D. 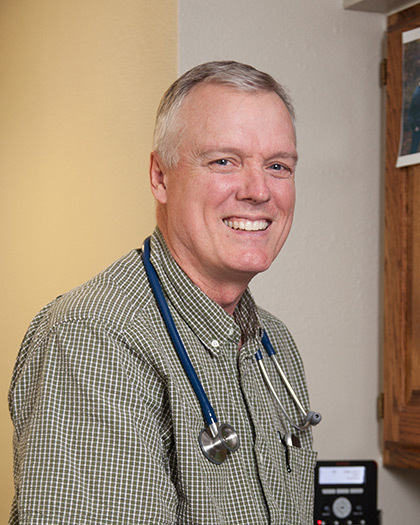 Originally a Californian, Dr. Wynn relocated to Utah for work and has enjoyed being around the friendly people who call this state their home. He’s also a BYU sports fan, so being closer to the action is an added perk. Dr. Wynn tends to spend his free time doing whatever his four kids are doing, fishing, or serving at his church. He’s also a talented cook who can make pastas entirely from scratch. He’s not so great at cleaning up after himself, but he’s working on that. In fact, he’s working on being more attentive to his surroundings and to others’ needs in general. Dr. Wynn is passionate about all aspects of pediatric care and enjoys working with patients of all ages, though he has a soft spot for adolescents. As a pediatrician who is also a father to four children—two sons and two daughters—he has come to believe that “Textbooks don’t have all the answers, and there are a lot of right ways to do things.” No matter what, helping families grow up healthy and happy is the goal, and for Dr. Wynn it’s the most rewarding part of his job. Dr. Wynn speaks English and Spanish. Dr. Wynn is still a big Dr. Seuss fan and originally got into pediatrics because he likes seeing kids far more than adults. All in all, he’s pretty in touch with his inner child. "We love Dr. Wynn he is an awesome Doctor that always puts us at ease and helps us to understand what is going on with our son. He is so easy going and really helps us feel good about our baby' health." -Jake M.
John Wynn, M.D. practices in our Cherry Tree Office.